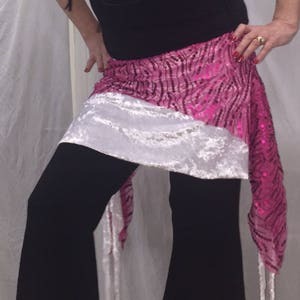 tribal fusion, bellydance skirt. 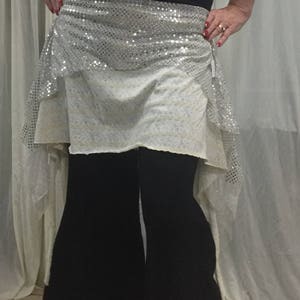 Size LG for hips 40”-44” hips. 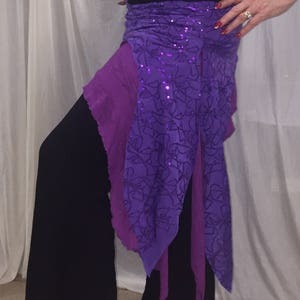 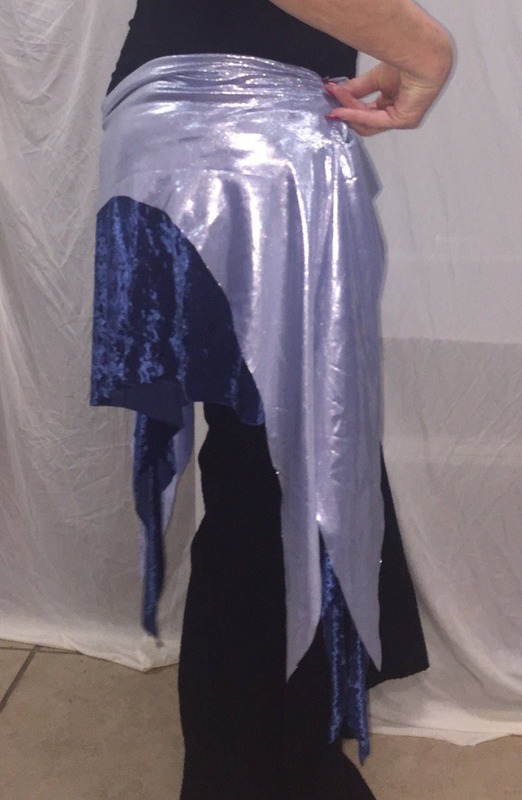 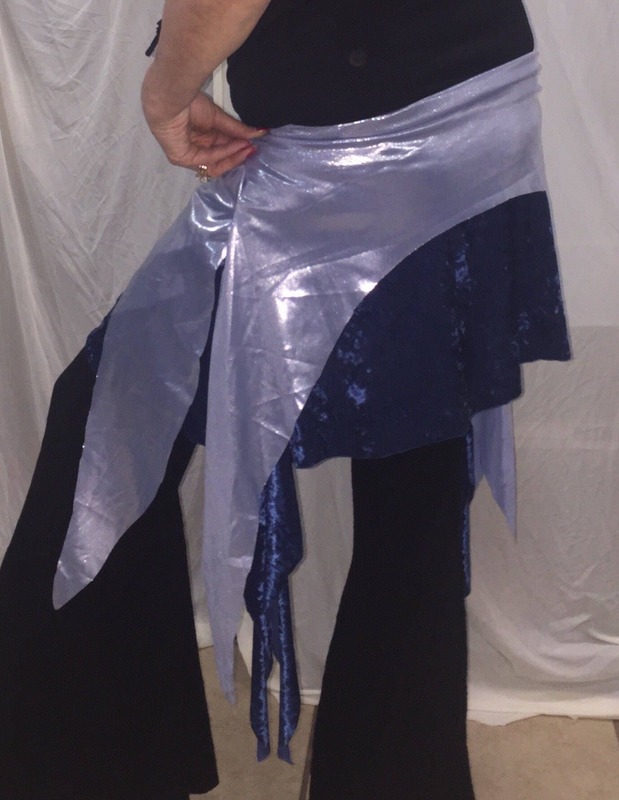 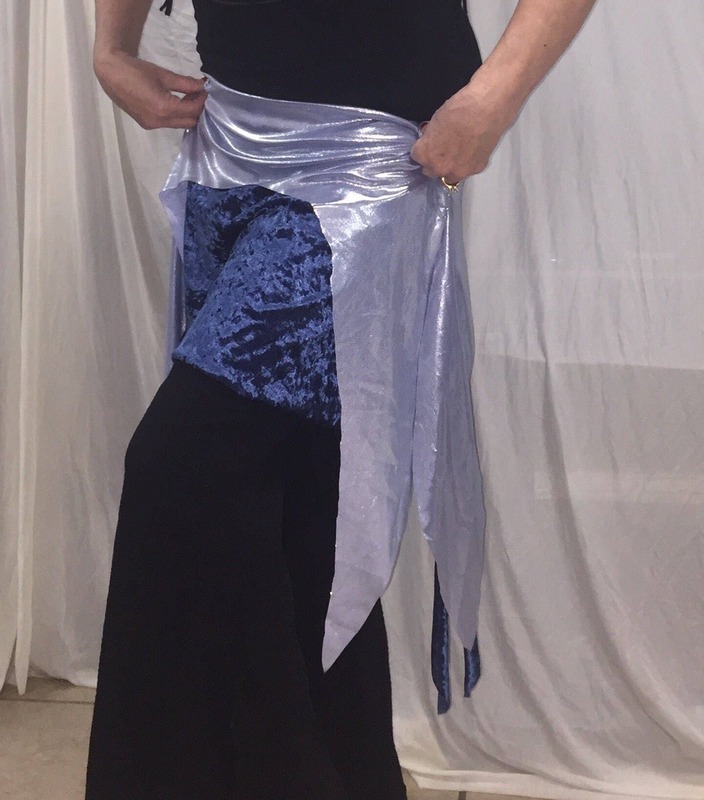 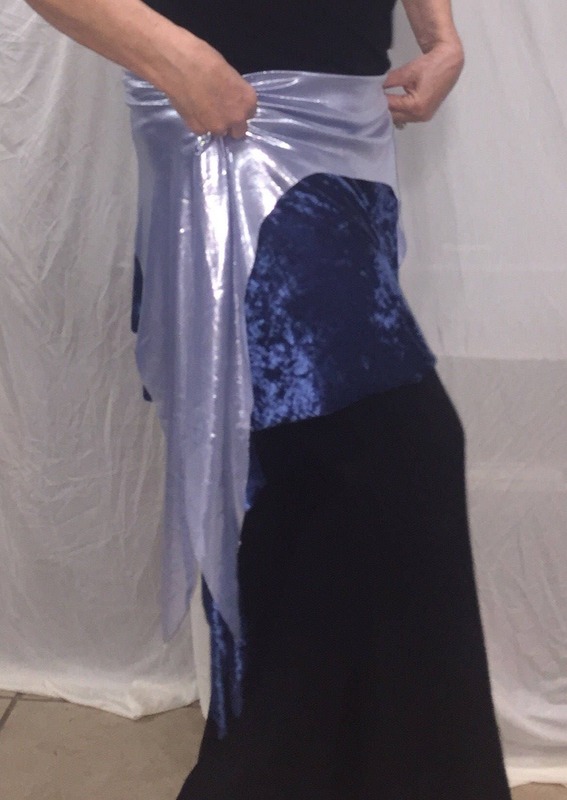 Glam overskirt for bellydance or yoga practice is 2 layers of blue. 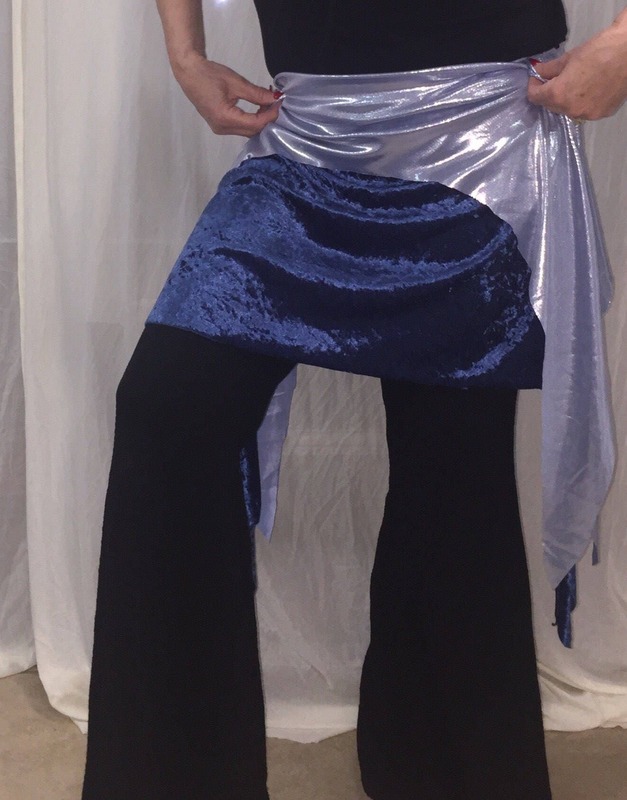 Shimmery light blue stretch metallic on top layer and dusty blue velvet on bottom layer. 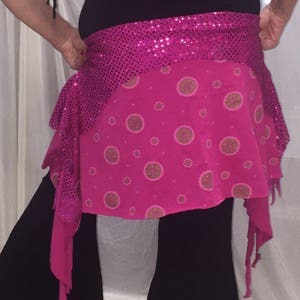 Be glam at practice.